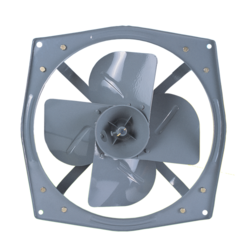 We are listed at the apex to manufacture and supply Exhaust Fans. Moreover, the offered range of exhaust fans is suitably checked on different characteristics to ensure its compliance with the international quality norms and standards. The offered range of exhaust fans is designed & developed utilizing high grade raw material and modern machines by dependable vendors.